Since I decided to go LightPacking, I need to free-up as much space as possible to my bag. This is one of the reason I bought this hydration equipment. The main benifit of this bag is that its a space saver. It normally molds to the space inside the backpack where you put it, unlike water bottles that create gaps. It is also very durable, abration resistant. I have tried putting hot water, cold water, used it as a pillow and even hanged it in a tree, still no problem was encountered. You can even interchange the cap of a Nalgene 1L water bottle with this one. One downside though is that when new, water has a plastic after taste. But there is a remedy, I ask MSR customer service and they emailed me the simple procedure. But it could have been better if this was included in the manual. 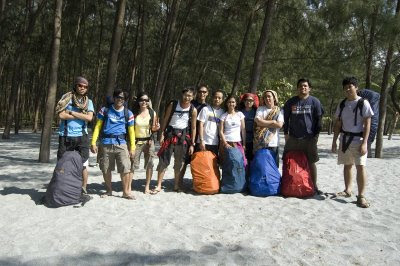 I had been longing to go to the fast becoming popular backpacking haven beach called Anawangin. 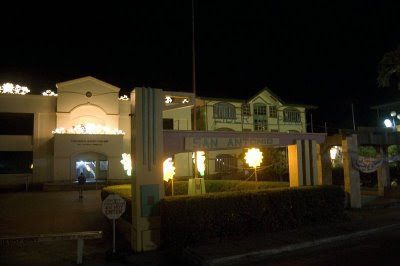 The place is located in San Antonio, Zambales. And I guess the best way to do it is to bring some of my officemates who are also into nature.I know its difficult to organize a climb, but we should always share the experience. Since its just gonna be on a weekend and to maximize the time we have, we left on a friday night. The bus left Manila at around 11pm, and arrived in San Antonio early in the morning of Saturday (4am). 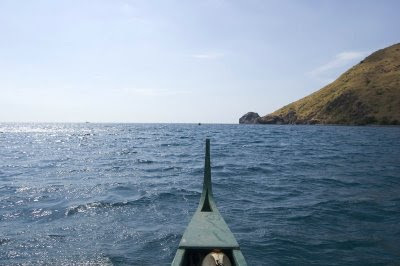 There are two ways to go to Anawangin beach, one is by via boat, the other is by trekking and traversing Mt. Pundaquit. We decided to take the latter. I could consider the trek easy. We started still dark and opted to take a guide. According to the blogs I saw on the net, the traverse would take 6-7 hours. It took us 5 hours, not bad. 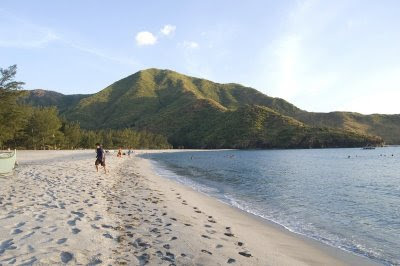 Arriving at the beach, you will be greeted by pine trees. The sand (which is actually lahar) is very white and fine. The beach is very nice and the water is warm. You can go far into the water and is still not too deep. 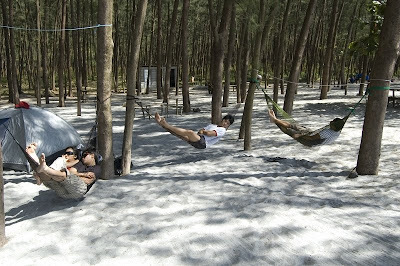 The pine trees are situated close to each other that you can place a hammock. There are also several bamboo tables you can use for preparing food. 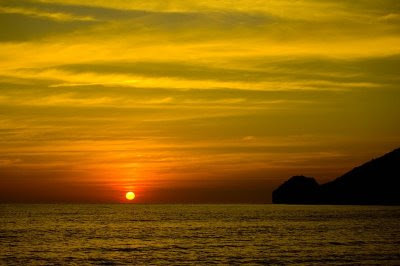 The beach is perfect for pitching tents, swimming/dipping, and even bonfire during the night. The next morning we went to a hill beside the beach to have a birds eyeview of the place, very good place for taking pictures. Theres also a river beside the hill, also a perfect place for dipping. The water is crystal clear and is surrounded by pine trees too. We break camp around noon and for the last leg of our trip, we dropped by Capones Island. 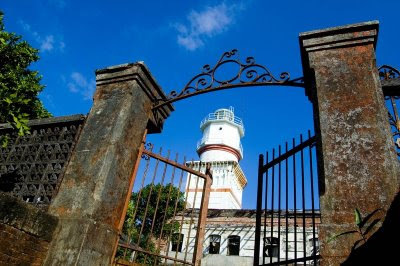 This island has an old lighthouse that I believe was created during the spanish era. After spending some time travel, we went back to San Antonio then back to Manila. Our trip is tiring but is very much satisfying. 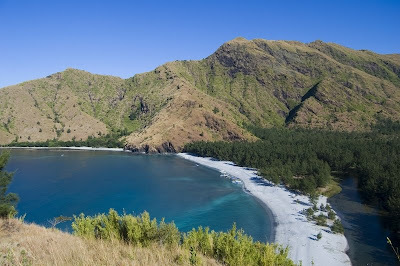 Compressing three major points (trek, beach and lighthouse) in just two days is already feat. Already looking forward to our next trip. After spending some time in Limbo, I finally gotten hold of this bag. I was a bit reluctant about this bag, but after using it once, it exceeds my expectations. The bag is very good built, just what we should expect of a Lowe Alpine quality. The bag has two main features, the first one is the Centro Adjustment System, which is a very easy adjustment of the back length of the bag depending on the torso of user. It is color coded and is very easy to understand. The other one is the Pure AirZone back ventilation, unlike other bags which has mesh to ventilate your back, this bag has a complete gap with the users back that keeps the airflow continous for less sweat and heat. The space is just enough for light packing. I used to own 60 liter bag which is made locally, I could say that moving to a smaller bag is quite hard at the beginning but later on will give you lots of benefits. Light packing is now the way to go. So far I can give this bag 4.5 out of 5 stars. - compared to my previous bag, Im less tired after a trek. When I was in Minnesota, my second month was the start of winter. Coming from a tropical country, I dont have any insulation clothes for this kind of weather. Thats the reason I decided to buy this gear. There are lots of winter clothing available in the stores, but I want something I can still use when I go back to the Philippines. As a primer this jacket is 3-in-1, it can be use as fleece, rain jacket and when you combine the two, it turns into a winter jacket. As a fleece its very warm and comfy, as a winter jacket it also serves its purpose well. The pocket is even insulated that will make your hands warm. I havent tried as a rain gear yet. But so far I think it also good on this part, when I was washing it the water over the jacket turns into beads. So far I think this is a good buy. I'm not really a big fan of Columbia shoes, but after seeing the discounted price. I decided to buy this one. But of course the shoes is also of good quality. Its a breathable but not water proof (im not a fan of goretex shoes), light and cushion trekking shoes. Its so comfy that it doesnt need breaking in. It has the new techlite midsole technology. The main sole is columbia omni-grip. In the two recent climbs that I used this shoe, so far it meets my expections. I just hope it will the same for my upcoming major climb. If theres one thing I want more is that the sole was made of Vibram. -cushioned and comfy -breathable, so you feet always stay cool. -nice shoe string adjusment, hugs your feet well. -sole is a bit soft, might encountered problems on hard ground. -sole has tendency to slip on was floors, might also slide on wet rocks.